Norwegian Elkhound - Friendly Protector. 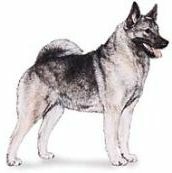 The Norwegian Elkhound is considered to be reliable, loyal and friendly and will make friends with all members of the family. Although they are hardy enough to live outside, they prefer to be an inside dog where they can interact with their human pack. When it comes to training, owners should utilize positive reinforcement methods along with creativity and patience. Stay away from long, drawn out repetitive drills as this will just get your very intelligent Elkhound yawning and distracted. Although this breed has an independent streak, with carefully constructed training and a gentle approach, they will learn anything quite easily. They are keenly aware of their surroundings and make good watchdogs. Historically, the Norwegian Elkhound dates back to Viking times, or about six thousand years ago. They are known for their hunting prowess and great courage, working in very harsh and cold terrain, going up against the large Moose, as well as lynx, bears and wolves. They were also used as sled dogs, for herding and as an excellent watchdog around the family farm. This beautiful and sturdy looking dog is also known as the Norsk Elghund, which translated means Norwegian Moose Dog. The Elkhound, though generally classified with the hound dog breeds, doesn't actually have any hound genes, but likely has some connection with spitz breed lines. It may come as no surprise, that this very handsome breed is the National Dog Of Norway. With tons of stamina and a gentle nature, they are tough yet mild mannered and make good family pets. Color variations: Double-coated in gray with black tips, although it can be just gray or black, with the latter being quite rare. The Elkhound's thick double coat sheds year-round and needs regular brushing and combing especially during the time of its seasonal heavy shedding. Most owners appreciate the little-to-no dog odor of the breed and that they only need an occasional bath. Because of his heavy coat, this breed is happier in cooler climates. That being said, it is a also a good idea to have a professional grooming in the spring before the warm weather sets in and again in June. Otherwise this dog may get quite uncomfortable on warm days. The Norwegian Elkhound can live up to fifteen years with good care. Part of that care includes keeping an eye on their food intake as they are one of the breeds more prone to weight gain. potential for eye problems such as PRA, cataracts, glaucoma etc. 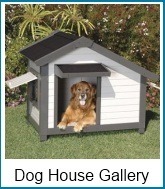 This is quite an energetic dog both indoors and out and does best with a fair amount of daily exercise. If someone in the family likes to jog, he will be glad to go along. One caution is for owners to be diligent during warm weather that this dog does not overheat. The Norwegian Elkhound can adapt to an apartment or house, but a house with yard and room to run is preferred. Otherwise, significant daily exercise is needed. Secure fencing of the outdoor area is a must due to his strong hunting instincts plus his talent for digging. As mentioned previously, they are best suited to cooler climates - need not be as extreme as the ones in which they originated, but areas which experience high heat would definitely not be ideal! This breed is considered a good dog to be around children. As always, no matter what the breed of dog, caution and supervision is recommended whenever children are interacting with pets. The NE is a dependable and loyal dog for the elderly, providing exercise requirements can be handled. Covers breed history and characteristics, behavior, puppy selection, feeding, training, and preventative health care. Also has advice about preparing for a new puppy, housetraining and preventing puppy problems. Lots of color photos.